Cream is what is known as an incomplete dominant mutation, meaning that it expresses differently in its heterozygous and homozygous forms. Cream affects only red pigment in its heterozygous form, but affects black and red pigment in its homozygous form. There is a genetic test for cream, and the designation for a heterozygous cream is N/Cr, and for a homozygous form is Cr/Cr. A single cream dilute (heterozygous) has a 50% chance of passing on cream to its offspring. A double cream dilute (homozygous) has a 100% chance of passing on cream to its offspring, regardless of the color of its mate. A bay horse whose coat is diluted to a golden color, while the black pigment on the points is unaffected. The main body shade can vary from light to dark, with dark skin and eyes. Occasionally, foals are born with blue eyes, usually a slate blue color, and these normally darken with age. Some heavily diluted buckskins may appear to be almost white, or silvery in color, with brown colored, or minimal points. In these cases, a wild bay base coat is often suspected. Likewise, some buckskins appear very dark, with almost no dilution, and in these cases a dark bay (seal or brown) phenotype is suspected. Buckskin and bay dun horses are easily mistaken for each other. Buckskin and Amber Champagne horses also share a similar phenotype. A red horse (chestnut or sorrel) who is diluted to a golden shade over their entire body. They can be as dark as a true chestnut or appear almost white. They usually have a white, cream or silver mane and tail. Self colored manes and tails occur, but this is rare. Their eyes and skin are usually dark, but some palominos never attain full pigmentation. They may be born with blue eyes that never fully darken, and pinkish skin which develops mottling or freckles. They are very easily confused with the Gold Champagne phenotype, and also occasionally with flaxen chestnuts. A black horse typically shows no signs of carrying cream. 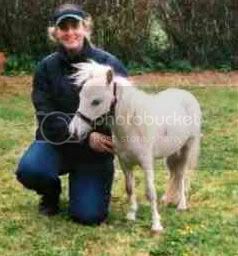 The foal coat may be particularly light, or the adult coat may be prone to sun-bleaching, or a perpetually faded color. Some horses have lighter, amber colored eyes. But these characteristics can also occur on black horses who do not carry cream. Smokey blacks are fully capable of producing cream dilute foals, and many breeders have been surprised when a palomino, buckskin, or double dilute foal is produced by a plain black horse. A bay based horse who is completely diluted. They have a white to cream body color and cream or dark cream points. They have pink skin and blue eyes. A red based horse is turned a white to cream color, with a white or cream mane and tail. They have pink skin and blue eyes. A black based horse has a cream or dark cream colored body, mane and tail, with pink skin and blue eyes. This is the most common type of dun. They usually have a tan body with black points, and often appear identical to buckskin horses, but with stronger primitive markings. Dun and cream can occur together, and when this happens, the horse may be called a dunskin. A horse with a red (chestnut or sorrel) base coat. The points are generally a shade darker than the main body, but the mane and tail may also be lighter. This color can be difficult to identify because the dilution and primitive markings may be subtle or not apparent. 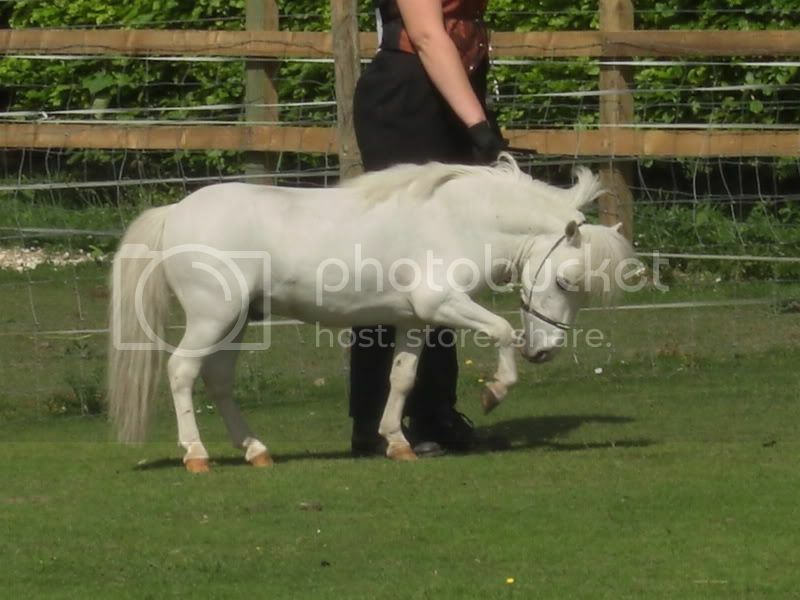 When it occurs with cream, the horse may be called a dunalino or linebacked palomino. A horse with a black base coat. They have black points and usually a face mask. This is the most sought after form of dun, and is prone to misidentification. They are usually a grey color, but have no relation to the color roan or to true grey. They can be nearly black, or have a mousy color. There are many different colloquial terms to describe shades of black dun. Leg stripes on Diego, red dun Quarter Horse. A black dun + roan Quarter Horse gelding. Bay based horses have a golden body, ranging in shades from light to dark, and with points from light brown to black. They can be mistaken for a buckskin. Red (chestnut or sorrel) based horses are shades of gold with a mane and tail color that ranges from white to the same color as the body (self colored). They often appear identical to palominos, and care must be taken not to confuse the two genotypes. Older champagne horses, whose eyes and skin have darkened, are especially prone to this mistake; and there are also some palomino horses who display a heavy dilution with lighter eyes or mottled skin. The result of a dark bay, brown or seal phenotype and not a classic bay. Black based horses appear to be a sort of grey or chocolate metallic shade. They have dark points that may or may not be visible. They can be mistaken for a black dun color. Cougarand San Bar, Dark Gold Champagne, self colored mane and tail. The Pearl gene is also known as the "Barlink factor." It resembles the champagne and cream mutations, but is neither. It is an incomplete recessive gene, with one copy doing nothing to the coat, while two copies will mimic champagne. When one copy of pearl and one copy of cream is present, a pseudo-double-cream-dilute color is the result. Many breeders theorize that pearl and cream are located at the same locus, meaning that a horse with both cream and pearl will only pass one or the other but not both to its offspring. Pearl has been located by UC Davis and they offer a test but they have not published their findings, so we cannot at this time know for certain if this theory is correct. A black horse with silver can range in shade from creamy to nearly black in color. The mane and tail can be from white to a color similar to the base coat, or appear sooty. The body commonly has dapples. They were traditionally mistaken for flaxen liver chestnuts, or very sooty palominos. But the roots of the hair and the lower legs are both areas which usually appear lighter in true chestnut horses. A bay horse will have diluted black points. A standard bay horse will be unaffected on the body, but a dark bay coat may show dilution. The mane and tail are generally lighter, or a sooty silver color. The legs are usually diluted to a brown/grey color, often with mottling. Chywoon Rusty's Applause 28" AMHA stallion, Silver Black Tobiano with greying. An example of how fast a silver with gray will gray. Photos courtesy of owner. hi, i have a question. i have a liver chestnut horse with some leg barring and a full dorsal stripe that goes from whither down into his tail. can anyone tell me if my horse is a red dun maybe or just a liver chestnut with fake markings?? If the horse is a liver chestnut then most likely the markings you are seeing are countershading. Especially if the visibility of the markings varies with the seasons. If you would like to post a picture on the forum we can give you a better response. whats the deal with these as testing is not available for these horses.. Is it totally different or just very difficult ?